The Treaty of Aix-la-Chapelle of 1748, sometimes called the Treaty of Aachen, ended the War of the Austrian Succession following a congress assembled on 24 April 1748 at the Free Imperial City of Aachen, called Aix-la-Chapelle in French and then also in English, in the west of the Holy Roman Empire. The resulting treaty was signed on 18 October 1748 by Great Britain, France, and the Dutch Republic. What is it relevance and why are we reading it here ??? 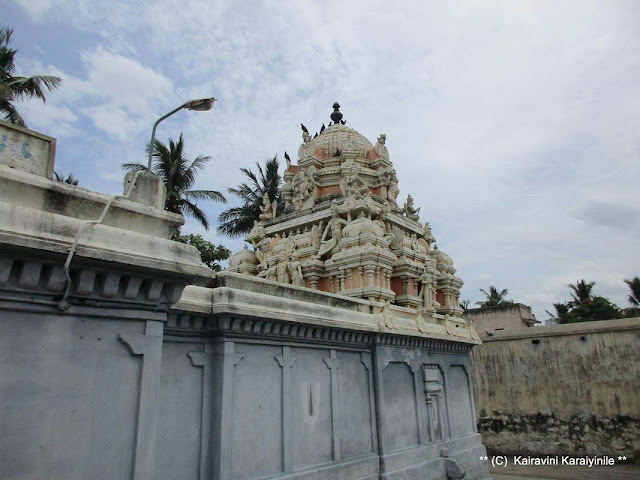 Mylapore is more associated with Kapaliswarar temple that has a great history – and one that was relocated from its earlier position nearer the sea to its present place. Sri Adhi Kesava Perumal Devasthanam better known as ‘ Mylai Kesava Perumal Kovil’ is near Mylai Kapaleeswarar Temple and the Chithirai kulam belongs to this Temple. 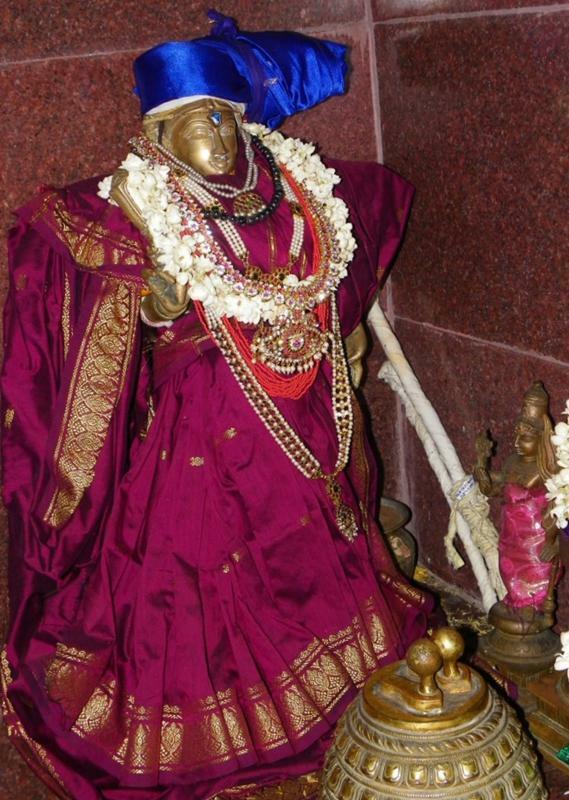 This is Chandra pushkarini (sarva theertham) popularly known as Chithirai kulam. The presiding deity here is Sri Adhi Kesava Perumal and thayar is Mayuravalli – the place itself was historically known as ‘Mayurapuri’. The temple is quite ancient and dates back to centuries. a photo taken last year. Every year during Ekkaduthangal Thiruvural uthsavam, Sri Parthasarathi Emperuman visits this temple, has mangalasasanam of Sri Peyalwar and has purappadu in the mada veethis. 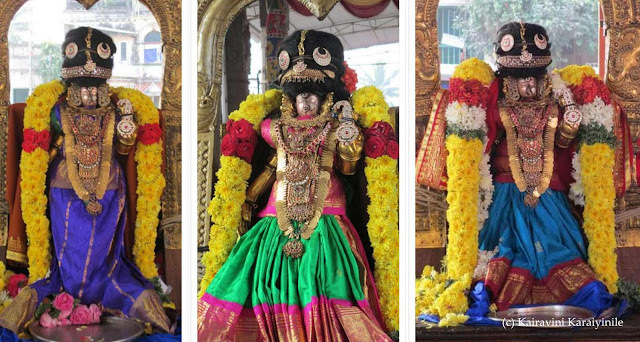 For many years, Sri Aadhi Kesava Perumal from Thirumayilai has been visiting Thiruvallikkeni divyadesam and have ‘vana bojana uthsavam’ performed here. Today, 30th July 2017 morning – Adhi Kesavar with all paraphernalia visited Thiruvallikkeni, had Thirumanjanam at Sri Vanamamalai Mutt at East Tank Sq St., Triplicane. Sri NC Sridhar, Trustee has been making arrangements in a grand way. 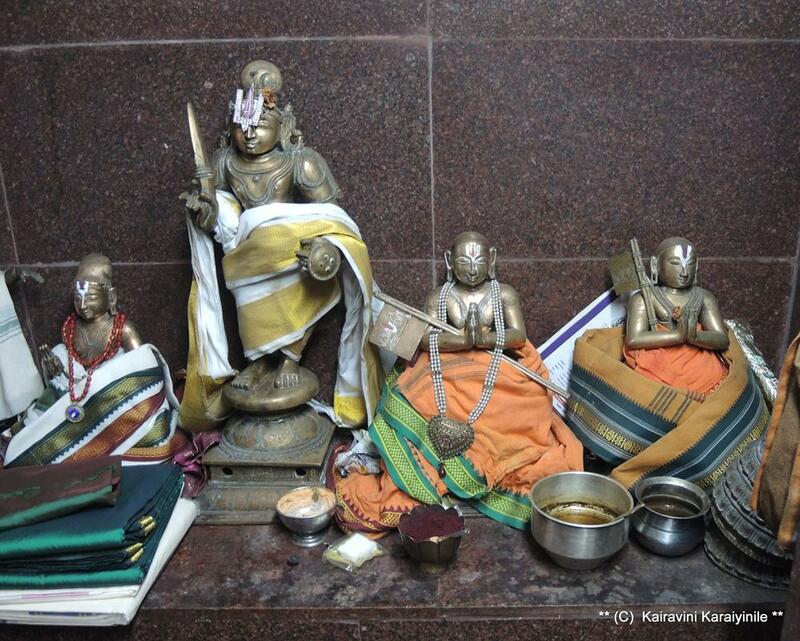 In the evening there was grand periya mada veethi purappadu for Sri Adhi Kesvar with his consorts. PS : In case you remember the reference to treaty between Great Britain, France and Dutch, HD Love, in his Vestiges of Madras states that Madras was taken by the French in 1746 and recovered in 1749, not by force of arms but by the treaty of Aix-la-Chapelle of 1748; Mylapore and Triplicane villages were very prominent those days. A great day today (26th July 2017) ~ the concluding day of Andal Uthsavam – Thiruvadipuram. இன்று 'திருவாடிப்பூரம்,' மிகச் சிறந்த நன்னாள் ! ஸ்ரீ ஆண்டாள் அவதரித்த தினம். ஸ்ரீவில்லிபுத்தூரில் பெரியாழ்வார் பெண்பிள்ளையாய், நந்தவனத்தில், துளசி மலரில் பூமிப்பிராட்டி அம்சமாய் தோன்றிய கோதைப் பிராட்டியின் பக்தி அளவிட முடியாதது. 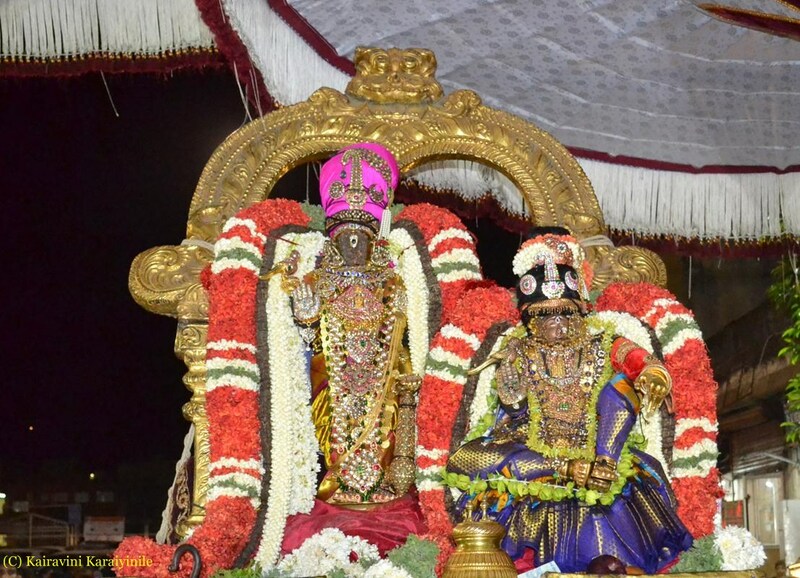 In the evening, it was grand purappadu of Sri Andal with Sri Parthasarathi in eka asanam ~ same kedayam. நம் பொய்யில்லா மணவாளமாமுனிவன், தமது 'உபதேசரத்தினமாலையில்' திருவாடிப்பூர திருநக்ஷத்திரத்தில் பூமி பிராட்டி ஸ்ரீவைகுண்டத்தில் உள்ள உயர்ந்த அனுபவத்தை விட்டுவிட்டு பெரியாழ்வாருக்கு திருமகளாக இந்த உலகத்தில் நாம் உஜ்ஜீவிப்பதற்கு அவதரித்தருளினதை, அழகிய ஆடி மாதத்தின் பூர நக்ஷத்திரத்தின் வைபவம் வேறொரு தினத்துக்கு கிடையவே கிடையாது என பாடி மகிழ்கிறார். மிளிர நின்று விளையாட விருந்தாவனத்தே கண்டோமே ! Let us fall at the lotus feet of Sriman Narayana singing the verses of Andal – which will ensure all goodness and prosperity. 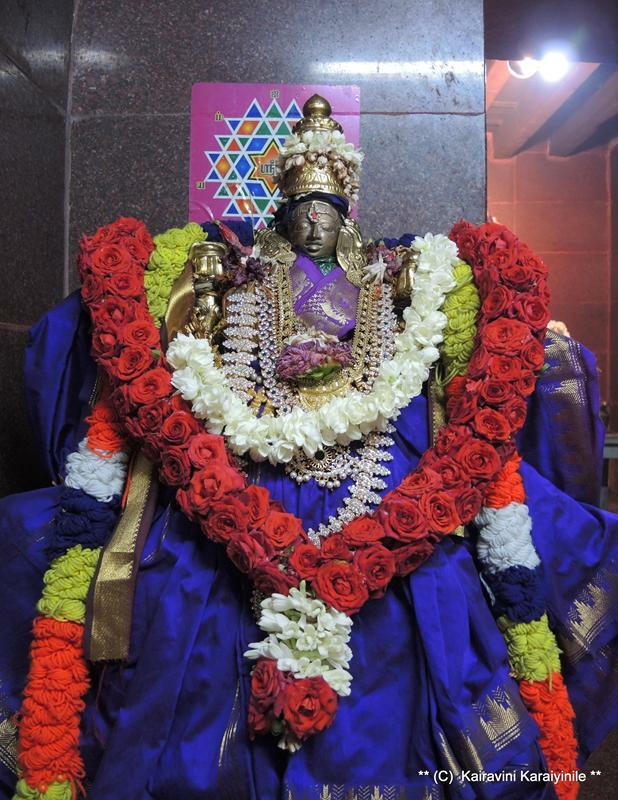 For Srivaishnavaites, the month of Aadi assumes special significance for on this month was born the female saintess Azhwar Andal. 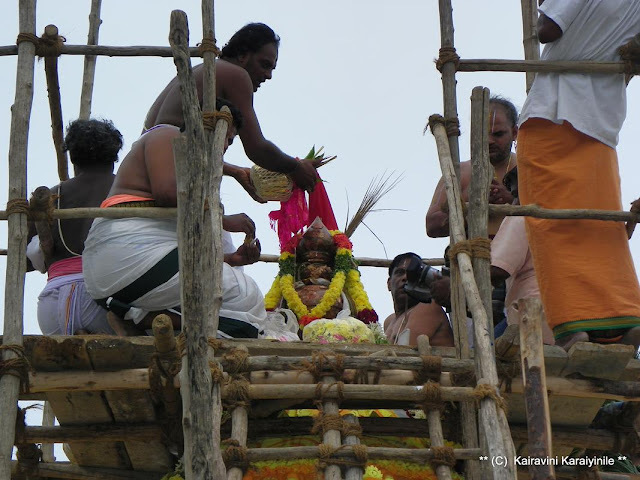 Godadevi was born at Srivilliputhur in the Tamil month Adi, with the birth-star Pooram, which is celebrated as ‘Thiruvadippuram’. Today is Amavasai and it was a double bonanza ~ there was grand periya veethi purappadu of Sri Andal with Sri Parthasarathi perumal. Today, Perumal dazzled with many special jewels and fresh garlands made of Jasmine (Malligai & Mullai) then Green frangipani + the brownish black Kuruvi ver – all adding to the beauty. 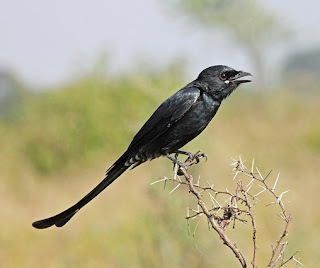 இன்று திருவாடிப்பூர உத்சவத்தின் ஏழாம் நாள். ஆடி அமாவாசை சிறப்பானதனால் ஆண்டாள் ஸ்ரீபார்த்தசாரதி சேர்ந்து புறப்பாடு. இன்று பெருமாள் துரா பதக்கம் போன்ற பல ஆபரணங்களையும் மிக அழகாக தொடுக்கப்பட்ட மலர் மாலைகளையும் அணிந்து அற்புத சேவை சாதித்தார். மல்லிகை வனமாலை மௌவல் மாலை என எவ்வளவோ மணமுள்ள மாலைகள் அணியும் திருமால் இன்று, மல்லிகை முல்லை பூக்களுடன் குருவி வேரால் ஆன மாலையும் பச்சை சம்பங்கி மாலையும் அழகு சேர்க்க சர்வ சிறப்பும் ஒருங்கே அமையப்பெற்று புறப்பாடு கண்டருளினார். இன்று வீதிதனிலே திருவெழுக்கூற்றிருக்கையும் கலியனின் திருமொழியும் சேவிக்கப்பெற்றன. திருமங்கைமன்னன் வாய்மொழிந்தது போல ** நென்னல்போய் வருமென்றென்று எண்ணி இராமை என் மனத்தே புகுந்தது, இம்மைக்கு என்று இருந்தேன் ** ~ ஆழ்வார் தமக்கு அருளினது திருவல்லிக்கேணியில் பல்வேறு கைங்கர்யங்கள் செய்யும் பட்டர்கள், அருளிச்செயல் வாய்மொழிவோர், ஸ்ரீபாதம்தாங்கிகள், பரம பாகவதர்கள் என எல்லாருக்கும் பொருந்துமாக ! .. லோக காரியங்களிலே - நேற்றுப்போனான், இன்று வருவன் இன்று வருவன்’ என்றிப்படி பாரித்துக்கொண்டு போதுபோக்கவேண்டாதபடி – எம்பெருமான் அவனிடத்திலே ஈடுபட்டு மற்றொன்றும் வேண்டாம் மனமே எனும்படியே கைங்கர்யம் பண்ணுபவர்களிடத்திலே (ஸ்திரப்ரதிஷ்டையாக) நெஞ்சிலே புகுந்து அருளி இருப்பன். இன்று [22.7.2017] திருவாடிப்பூர உத்சவத்தில் ஆறாம் நாள். திருவல்லிக்கேணியில் திருவாடிப்பூர உத்சவம் பத்து நாட்கள் விமர்சையாக நடைபெறுகிறது. புதன் (26.7.2017) அன்று திருவாடிப்பூர சாற்றுமுறை. பெரியாழ்வார் ஸ்ரீவில்லிபுத்தூர் வடபத்ரசாயீ திருக்கோவிலில் நந்தவன பணி ஆற்றும் போது ஆண்டாள் கிடைக்கப் பெற்றார். கோதை என்றால் தமிழில் மாலை; வடமொழியில் வாக்கை கொடுப்பவள் என்று பொருள். ஆண்டாள் பாடல்கள் - பைந்தமிழுக்கும் பக்திஇலக்கணத்துக்கும் உயர்ந்த சான்றாய் திகழ்வன ! அவரது திருப்பாவையின் யாப்பு மிகக்கடினமான இலக்கண கோப்பு வாய்ந்தது. திருப்பாவை முப்பது பாடல்கள் - சங்க தமிழ்மாலை என போற்றப்படுகின்றன. தொழும் ஆண்டாளின் பக்தி பிரமிக்க வைப்பது அல்லவா ! பூமியைச் சூழ்ந்த கடல் போன்ற திருநிறத்தையுடைய கண்ணபிரானுக்கு பணி செய்து வாழ்தலே, நமக்கு எல்லா நற்பயன்களையும் தரும். Today is the 6th day of Andal Thiruvadipura Uthsavam and at Thiruvallikkeni, Sri Andal had chinna mada veethi purappadu. Here are some photos of the occasion. The Pallava Empire was the largest and most powerful South Asian state in its time, ranking as one of the glorious empires of world history. The Pallavas gained prominence after the eclipse of the Satavahana dynasty. The history of Pallavas depicts continued war of ascendance with Chalukya empire. Of the many Kings, Mahendravarman I (600–630 CE) was very prominent and it was during regime, Pallavas fougth Chalukyas – Pulikesi – the Vengi wars. Mahendravarman was succeeded to the throne by his more famous son Narasimhavarman I. Narasimhavarman 1 fondly known as ‘maamallan’ shared his father’s love of art and completed the work started by Mahendravarman in Mahabalipuram. Pallava Kings were patrons of Srivaishnavism and built many temples for Sriman Narayana. There are references to Pallava Kings in divyaprabandham too. Pallavas for a major part of their tenure ruled from Kanchi. From ancient times, our lives are intrinsically mingled with temples which are the torch bearers of our glorious heritage – the hindu way of life. Obeisance to God, Acharyas and those involved in temple work is our primordial duty. Kanchipuram has been the repository of many magnificent temples. 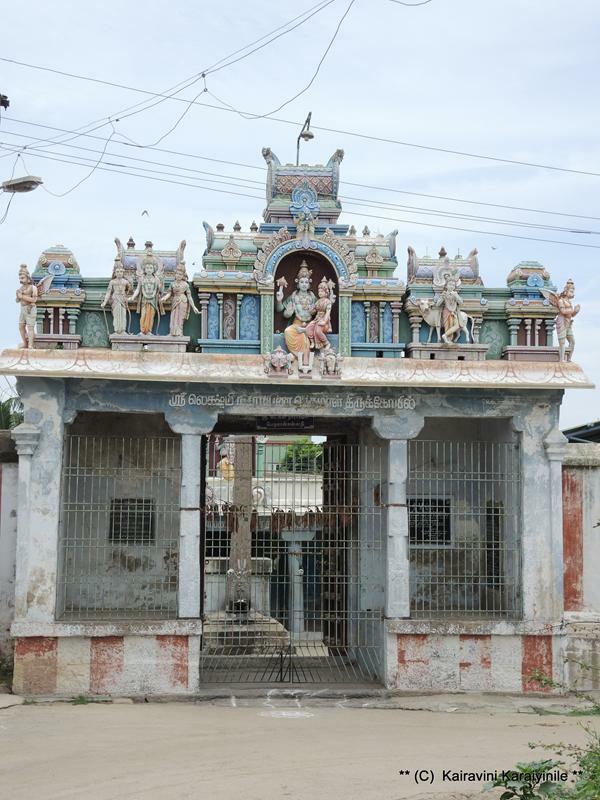 There are several big temples and for Vaishnavaites “PerumalKovil” would mean the temple of Lord Devarajar – AthigiriArulalar. 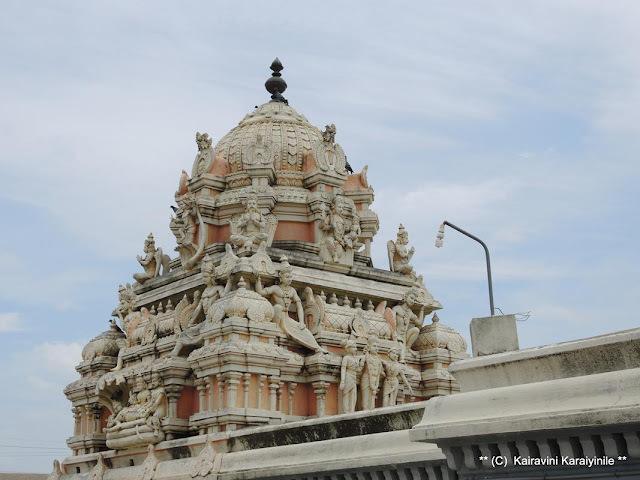 Temples in kanchipuram are torchbearers of the glorious heritage of the Kanchipuram District and are repositories of the magnificient art forms that evolved over several centuries. The city famous for silk sarees is called as "City of 1000 Temples" and a famous Sanskrit poem ascribes it as ‘nagareshukanchi’ – the best of the cities. One of the oldest cities in South India, this has been a learning centre for linguists. It reached its pinnacle of glory during the regime of Pallava dynasty and served as its capital. This area is also known as thondaimandalam in tune with Thondaimans who ruled this land and have had constructed many temples of yore. 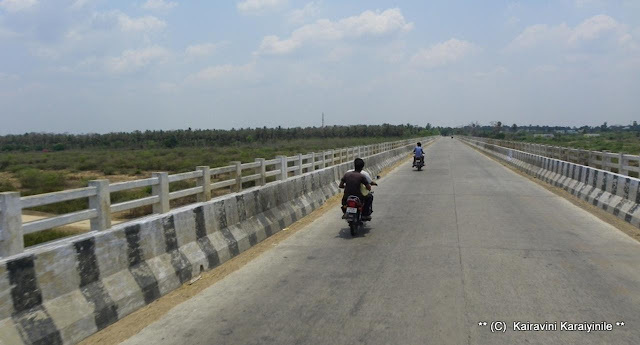 There are many important places in and around Kanchipuram and as you travel from Kanchi to Vandavasi / Cheyyar, you would cross the SalaiKinaru (from where thirumanjanatheertham for Devarajar was brought), Iyengarkulam, Palar bridge, Dhoosi, you would come to the hamlet ‘Mamandur’ – known as Dhoosi Mamandur due to its proximity to Dusi. This village has a big reservoir and is about 3 km away from Palar and about 8-9 km away from Kanchipuram. 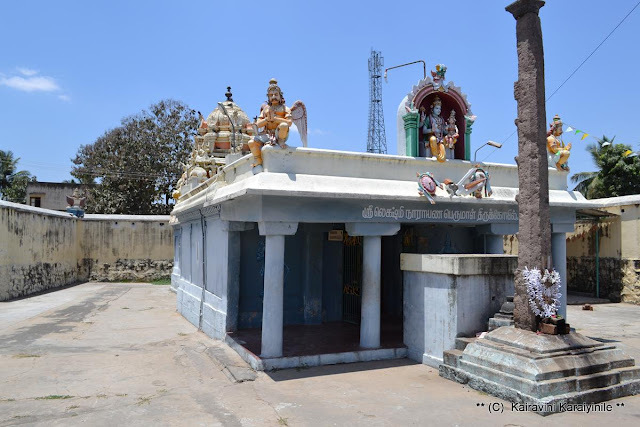 Legend has it that Lord VaradharajaPerumal used to visit this place on every Chitra Pournami day. Though not much of water could be found in Palar these days, it is a river which rises in Kolar and flows through Andhra and enters Tamilnadu before confluencing into Bay of Bengal at Vayalur. One of its main tributaries is Cheyyar river. In the Mamandur village stands the majestic grandeur Lord Arulmigu Sundaravalli Thayar samedha Lakshmi Narayana Perumal. This is a temple of more than 300 years old and has rich history with many vidhwans hailing from this place. Many Sampradhaya periyavars have told that many of the Nalayira Divyaprabandha adhikaris hailed from this hamlet of DhusiManandur. The temple is not big and during my visit few years back, it certainly was craving for immediate renovation. 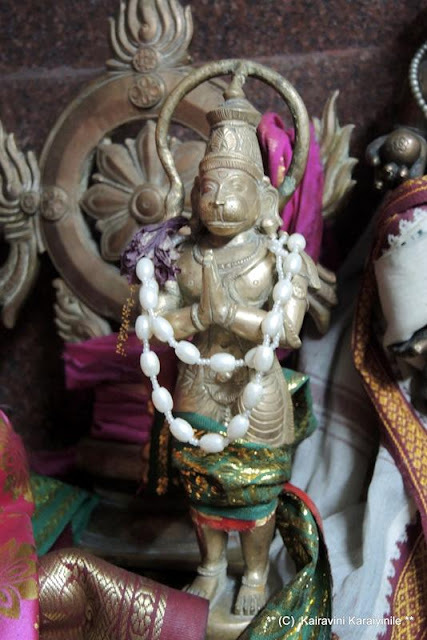 The temple though was maintained very well and the Idols were decorated beautifully, thanks to the efforts of Battar. 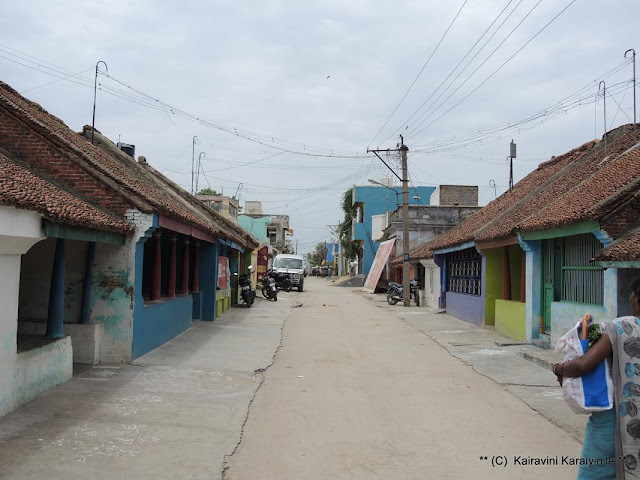 It is apparent that this village which should have shone in splendour had lost its sheen over the years as many had sought greener pastures and shifted to Chennai and thence to various other cities. Probably not many maintain their links to their ancestral roots. 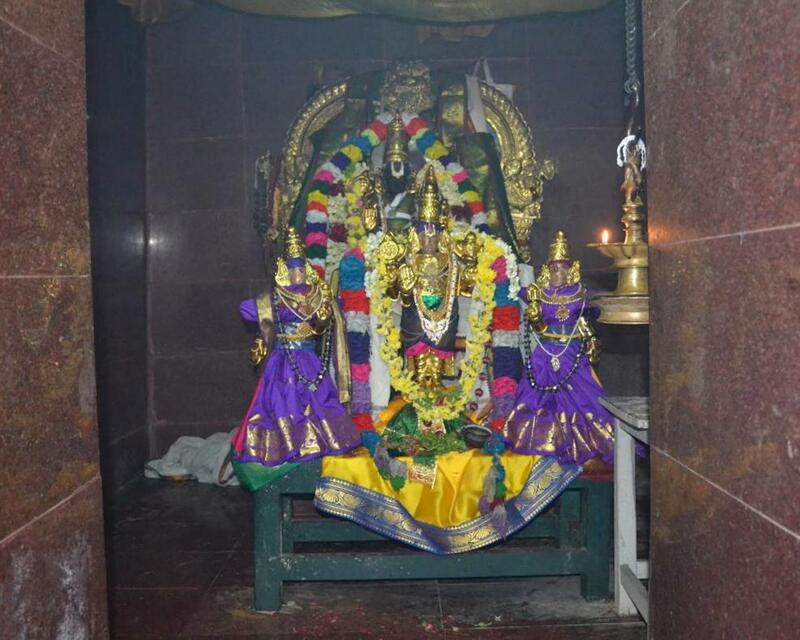 The temple houses Lord Lakshmi Narayanar who is in sitting posture with Lakshmi devi on his lap. 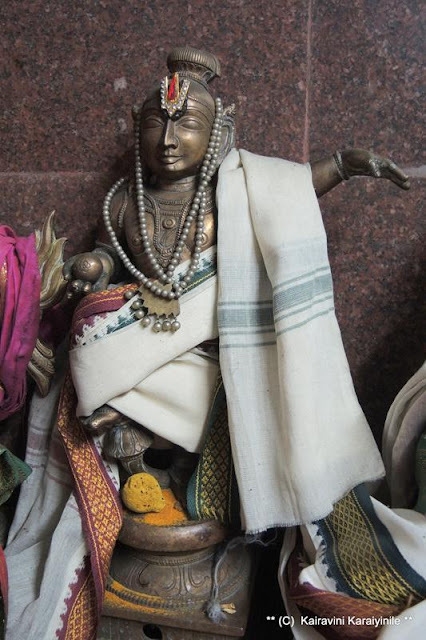 Thayar thirunamam is ‘SundaravalliThayar’ and has an individual sannadhi. 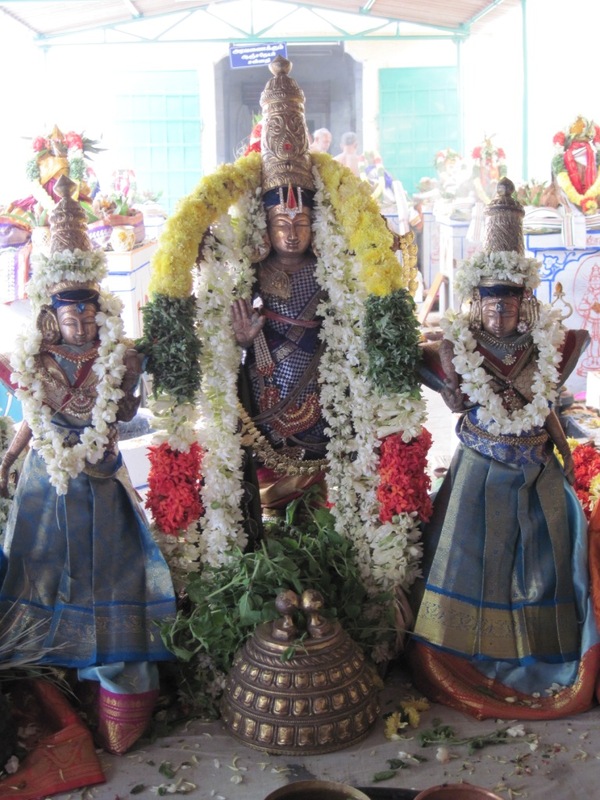 There are beautiful idols of Sadagopar (Nammalwar), Kaliyan (ThirumangaiAzhwar), Udayavar (Ramanujar) and Varavaramuni (Swami Manavalamamunigal) and Aanjaneyar. Inscription states that ‘samprokshanam’ was conducted way back in 1950 and not much renovation took place thereafter. The Balalayam (vedic initiation of the renovation work) was conducted on 25th March 2010 and with the active involvement of some families belonging to the Temple, Maha Samprokshanam was held on 5th Sept. 2010. Hundreds of people with lineage of this village descended on that day at the Temple and witnessed the Samprokshanam which was conducted in the presence of the Two great Saints – Sreemath Paramahamsa Appan Parakala Ramanuja Embaar Jeeyar Swami and Sree Govinda Yathiraja Jeeyar Swami, both hailing from Sriperumpudur. ஸ்ரீமன்நாராயணனை வணங்கும் ஸ்ரீவைஷ்ணவத்தில் எம்பெருமான் திருக்கோவில்களில் அர்ச்சை நிலையில் வாத்சல்ய சௌசீல்யனாய் அருள்பாலிக்கிறார். தொண்டைமண்டலத்தில் காஞ்சியில் பல திவ்யதேசங்கள் உள்ளன. நகரேஷுகாஞ்சி என கோவில்களுக்கு பிரசித்தியான காஞ்சிநகரில் இருந்து சுமார் ஒன்பதுகி.மீ. 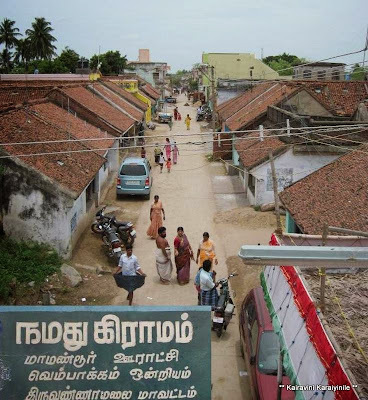 தொலைவில் அமைந்துள்ள சிற்றூர்நமது “மாமண்டூர்”. மாவண்டூர் மருவி அருகில் உள்ள தூசியுடன் இணைந்து தூசிமாமண்டூர் ஆனது. இங்கே உள்ள சிறியகுன்றின் மீது பல்லவமன்னன் மகேந்திர பல்லவனின் கல்வெட்டு உள்ளது. திவ்யதேசங்கள் பலஇருந்தாலும் ஒவ்வொருவருக்கும் தாங்கள் பிறந்த மண்ணும் ஊரும் பெருமைக்கு உரியன அல்லவா! அரசாணிப்பாறை என்ற ஆறு அருகிலுள்ள பெரியஏரியிலிருந்து பாய்ந்து ஊருக்கு வளம் சேர்க்கிறது. தூசி, மாமண்டூர் – இவ்விரண்டும் முறையேசடகோபுரம், மனவாளபுரம் எனபழங்காலத்தில் வழங்கப்பட்டதாக ஸ்ரீகோவிந்தயதிராஜஜீயர் சுவாமி தமது மங்களாசாசனத்தில் குறிப்பிட்டுஉள்ளார். மறைஓதும் அந்தணர்கள் பலர் வாழ்ந்த இப்புண்ணிய பூமியில் ஸ்ரீலக்ஷ்மிநாராயண பெருமாள் கோயில் அமைந்துள்ளது. வைகானச ஆகமத்தின்படி உள்ள இக்கோவிலில் மூலவர் ஸ்ரீலக்ஷ்மிநாராயணர் தமதுமடியில் லக்ஷ்மிதேவியை இறுத்தி இடக்கையால் அணைத்து எழுந்து அருளியுள்ளார். உத்சவர் சதுர்புஜங்களுடன் சங்குசக்ரம் ஏந்தி சேவைசாதிக்கிறார். தாயார் ஸ்ரீசுந்தரவல்லி மிகஅழகாக எழுந்து அருளிஉள்ளார். தவிரஆண்டாள், நம்மாழ்வார், கலியன், உடையவர், மணவாளமாமுனிகள் விக்ரஹங்களும் உள்ளன. இவ்வாறு சீர்மைவாய்ந்த மாமண்டூரில் விக்ருதிவருஷம் ஆவணிமாசம் 20௦ஆம் தேதி (ஞாயிறு : 05/09/2010 அன்று) காலை 0630 மணி அளவில் ஸ்ரீசுந்தரவல்லி சமேத ஸ்ரீலக்ஷ்மிநாராயணப்பெருமாள் கோவில் சம்ப்ரோக்ஷணம் விமரிசையாய் நடைபெற்றது. ஸ்ரீமத் பரமஹம்ச அப்பன் பரகாலராமானுஜ எம்பார்ஜீயர் சுவாமி, ஸ்ரீபெரும்புதூர் ஸ்ரீகோவிந்த யதிராஜஜீயர் சுவாமி, ஸ்ரீபெரும்புதூர் என இரண்டு யதிசார்வ பௌம மகான்கள் எழுந்து அருளி இருந்து சிறப்பித்தனர். Samprokshanam was indeed a memorable occasion. I also have the lineage to this village though our ancestors had left the village quite few years back and do not own any land or house here. Recently had the fortune of visiting our village and had good darshan at Sri Lakshmi Narayana Perumal Temple and here are some photos.